I just checked and found out that the Sun Ra Batman LP is available as a CD. At Amazone and at several other places. 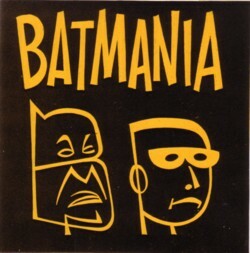 I prefer the LP’s , but sometimes there are only CD’s, as in the case of Batmania . 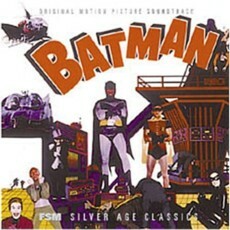 A very nice compilation of songs that were inspired by the 60’s Batman TV series. 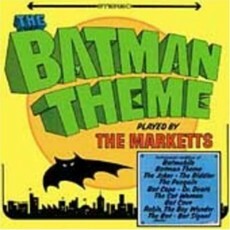 I still have no list of all Batman related music, but enough material for a compilation. 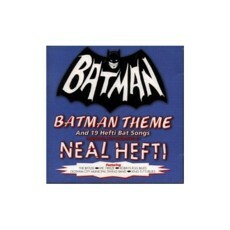 There is much more than the Batman music that is available on CD at this moment. And it is not available in the way that people like me would love it to be. Complete, in a box, with extensive liner notes, great covers and of perfect sound quality. Most of all I would love to have a CD with all the songs that the actors of the 60’s TV series put out on record. 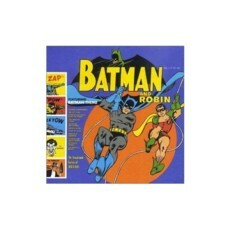 Adam West did at least two 45’s, Burt Ward one, and The Pinguin and The Riddler also made great 45’s. But how about the other actors like Catwoman, Alfred, Commissioner Gordon and all the others? Here is Peggy Lee from the Batmania CD, with That man . Frits, there are no pictures in this article, as far as I can tell..
Oops! Thanks for telling me.